Welcome to Harmony at Home Nanny Agency in North London. We are a unique nanny agency passionate about providing an extensive range of outstanding childcare services and house staff to households across North London. Our bespoke service offers an unrivalled level of VIP childcare. Call our professional recruitment expert Demi Paphitis on 02088869720, for more information. You can be sure we’ll deal with your childcare needs effectively and sensitively with the utmost professionalism. Our attention to detail is exceptional. We are dedicated to providing families in North London with suitably qualified, nurturing and creative nannies to help make your family home a harmonious one. Our philosophy is based on the simple fact that we recruit the very best staff and provide you with a unique and unprecedented service. We offer professional nannies who love their jobs and take pride in their work. Our standards are exceptionally high. We have everything you need for all of your childcare needs and parental support, from live-in nannies to housekeepers and babysitters. We have an exceptional team of qualified childcare experts offering everything from Daily Nannies to live in mother’s help. With our emergency childcare service and a whole plethora of consultancy services on offer too, you can be sure we can help you with any of your childcare needs using a unique and supportive approach. Harmony at Home Nanny Agency in North London offers childcare across the area. Including Islington, Cockfosters, Hadley Wood, Enfield, Muswell Hill, EN postcodes and beyond, wherever you are in North London, we’ll make sure you get absolutely the right person to support your family. We only offer the highest quality, experienced professionals. 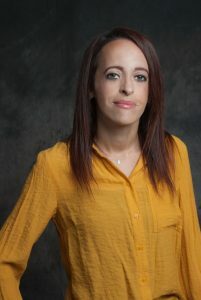 Our expert recruitment consultant, Demi Paphitis, vets all our registered staff using a careful selection process, including face-to-face interviews. We know how important it is to thoroughly screen our staff, so we know you are getting the very best in qualified responsible, creative and engaging nannies and child carers. All have an enhanced background DBS (formerly CRB) check. Exceptional standards are of the utmost importance to us. We are always happy to hear from friendly, competent and dedicated childcare staff working across North London. If you are a child carer looking for exciting and fulfilling new placements, please contact Demi here. You can view all the current jobs in North London here. We are excited to offer you unrivalled VIP childcare services. Call us on or email us to find out more about bringing harmony to your home. You can follow Demi on Instagram here. You can connect with Demi on LinkedIn here. We are confident you’ll find us to be one of the best nanny agencies in North London. We can recommend lots of fun activities for families, nannies and children in North London. Services Provided: Nannies, Nanny PA’s, Nanny Jobs, Nanny Recruitment, Mother’s Helps, Emergency Childcare, Holiday Nannies, Event Nannies, Babysitting, Night Nannies.